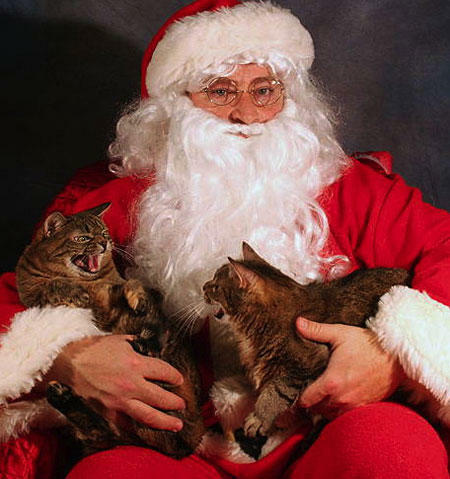 It’s hot and sticky out, for many of us, at any rate, so to help you take a little break from the heat, how about some Christmas photos? 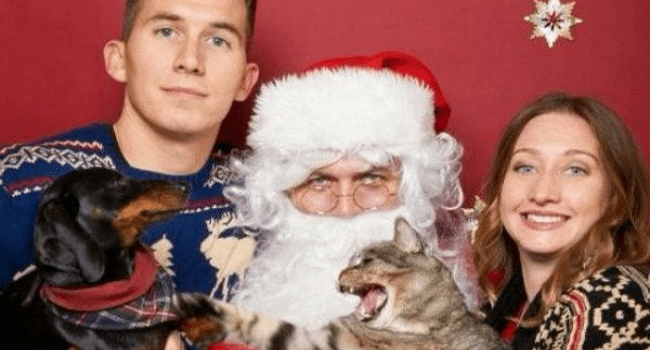 It’s hot and sticky out, for many of us, at any rate, so to help you take a little break from the heat, how about some Christmas photos? 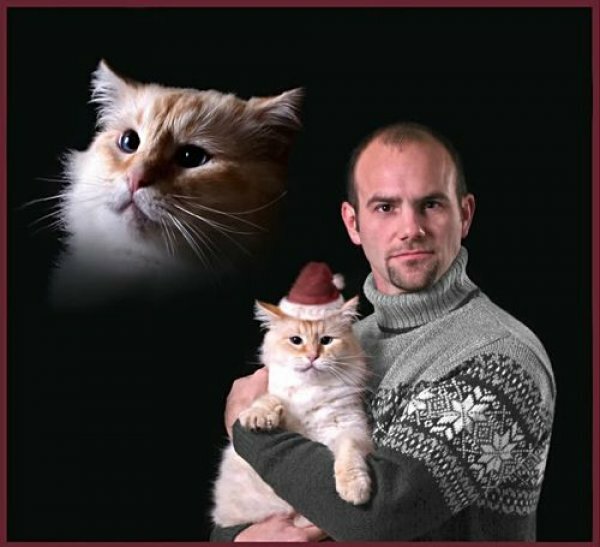 Even better, how about some just odd and awkward Christmas photos featuring people and their cats. Well, if not cooler, then at least you can have a good giggle, laugh, or guffaw. 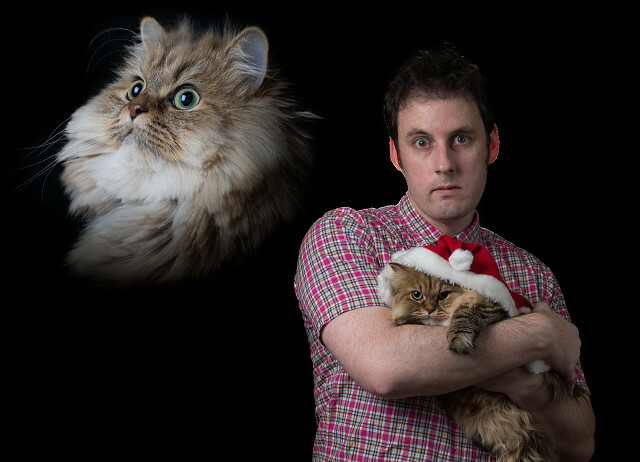 Guessing this is one of those fakey-fake-fakers taking a take on the original awkward family Christmas photo with cat. The resolution is much too high, but the clincher is the fact that cardigan needs buttons, not a zipper. Still, A for effort, here. To be fair, some of these may be real and others may not, merely heartfelt imitations of those that are authentic, but, either way, they will surely tickle your funny bone. 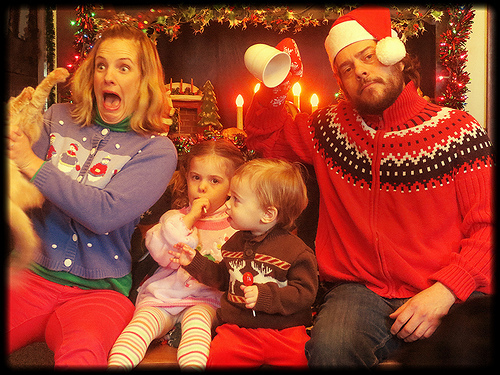 Feel free to gather around your family and friends, sing carols, and pass around the cold hot chocolate, presenting these photographs as your featured entertainment for this year’s Christmas in July festivities. 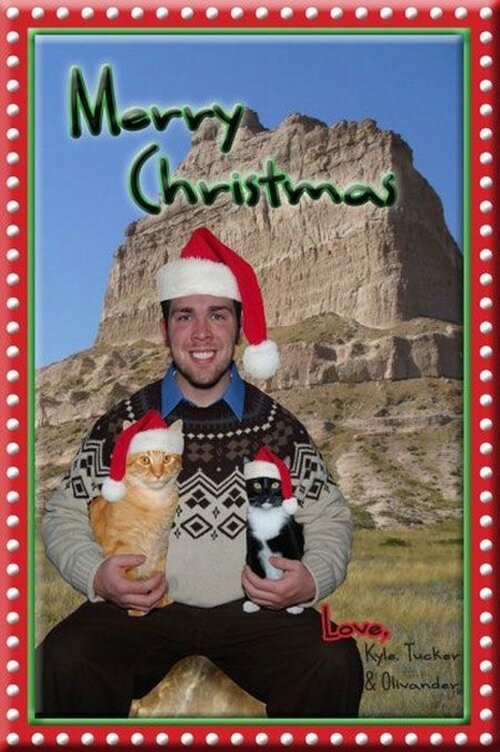 Maybe you all can consider creating your own awkward cards to send out this year. 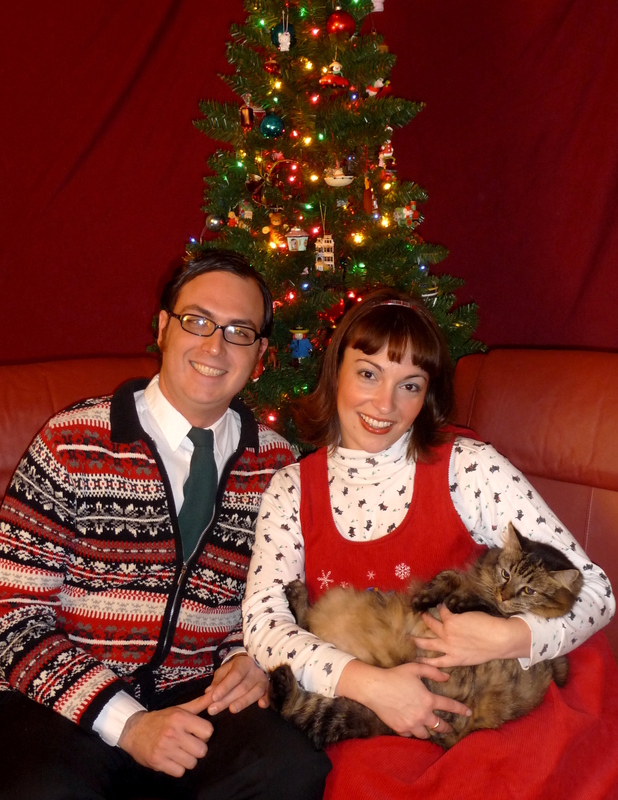 Plenty of time to prepare and find just the perfect snowflake sweaters for one and all. Hopefully you won’t recognize anyone in these. Not quite sure what is happening here…same guy, same shirt, but different cat. 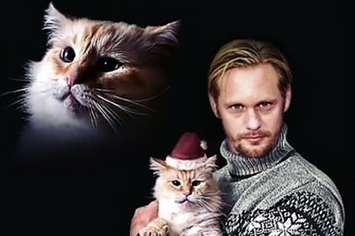 Have to say, the poor kitty below needs a hat that fits a little better. As to the glasses, unless you’re Clark Kent, and not even sure how that works for him, they don’t present much of a disguise. 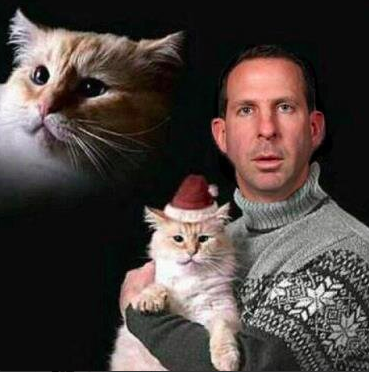 Here’s a perfect choice for your next holiday greeting card. 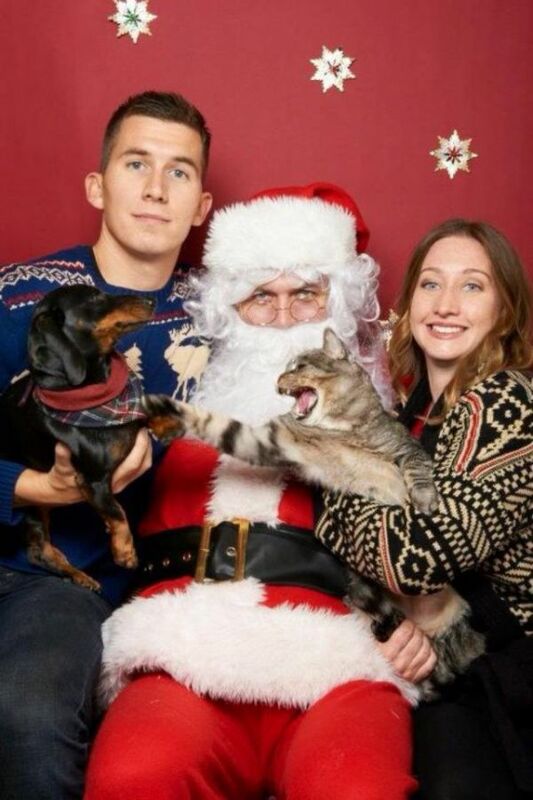 Little too composed, but full of holiday spirit, though it does make you wonder if the cat was really in on the joke or not. Same sweater? Same cat with the same expression (and pose)? 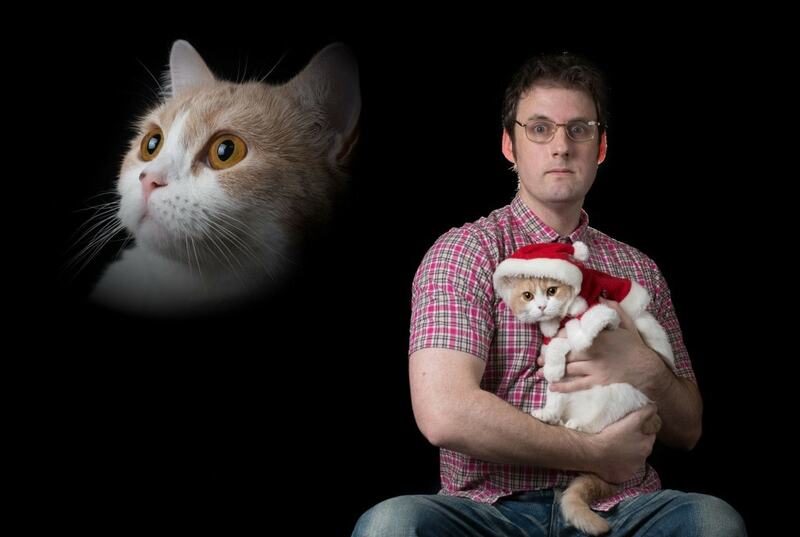 Not sure what to say about this, except the guy on the bottom is clearly sending this shot on to GQ.